I feel like I blinked and 2017 was over, with the new year rolling out pretty quickly our family has been on the move! From dentist appointments, doctor’s check-ups and eye exams*, we’re hitting the ground running in the new year to make sure we are in tip-top shape. Bonus points that like most people, our insurance resets in January so we try to squeeze as many visits in together so save us a bit of time later in the year. I was very lucky to be blessed with pretty good vision, I do experience some eye-strain when I’m in front of the computer for a while but otherwise, I don’t require any corrective lenses. I wish I could say the same for my other half, without his glasses he’s basically blind! I know that even though my eyesight is okay now, that can change and that’s why eye-exams are super important for our entire family. 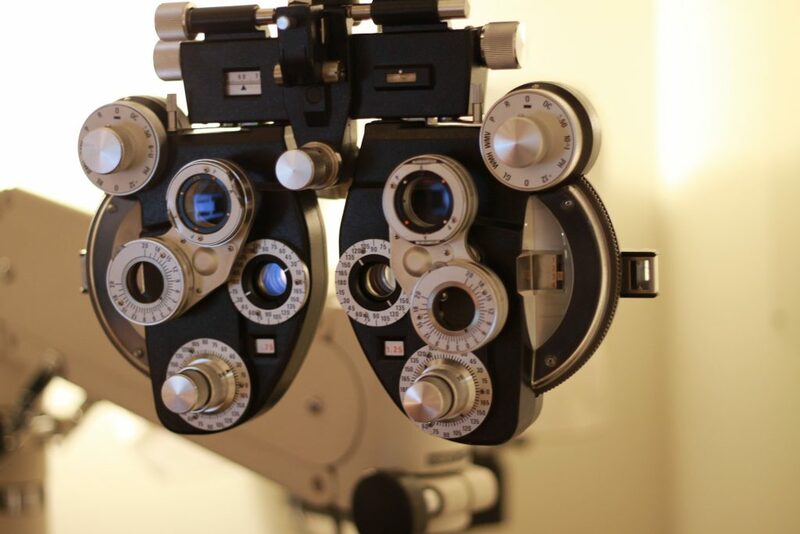 We want to make sure that our eye-sight isn’t deteriorating and to see if anything corrective needs to be done or changed. Like most families, we run into the issue of time. Planning when and where we can all be seen together, with warm and welcoming eye care experts that don’tmind a tiny tornado asking a million questions because she’s nervous and that also carries brands that we know and trust. Enter – Pearle Vision. If you’re anything like me, you usually remember to book appointments at 11:00 pm at night when everyone has gone to sleep, and your brain finally has a chance to run through the day, right? By then, most places are closed and you’re making notes in your phone or on post-it notes to remind you to do it the next day. This is my life trying to juggle my schedule, work, family, activity and exam schedules. I need simplicity and availability! I was so impressed that I was able to book Ryan’s eye-exam online within minutes with an easy to use online booking system that sends a reminder closer to our appointment – jusssst in case I forgot to write it down. I look for a few things when I decide where we are going to go for exams, specifically I want to feel like I am not just another name in a schedule. I work in health care and I know the first interaction with someone is the most important, which is why even now I remember fondly how welcomed we felt when we arrived for his appointment. 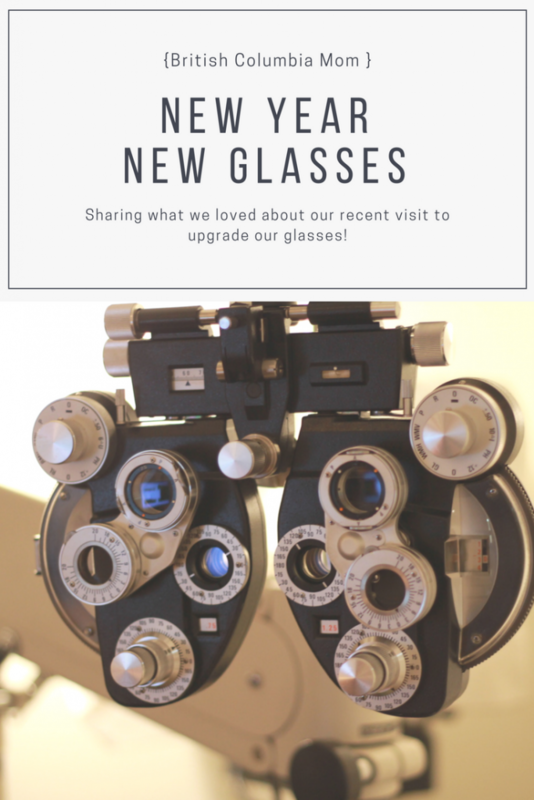 With eye-exams being a little on the pricey side when you’re booking the entire family, we also really appreciated that Pearle Vision was able to direct bill our insurance within minutes of us arriving, so there were no surprises later. We use Blue Cross, but they direct bill to many of the major insurance plans, giving you one less thing to worry about after the appointment. 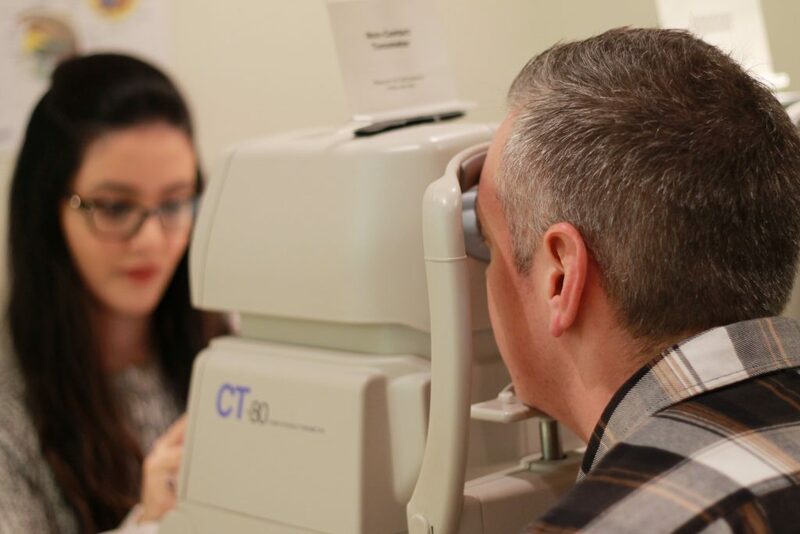 Whether you’re booking a regular check-up or have some concerns about your vision, the doctors are both kind and knowledgeable. We expected a quick visit, in and out with a prescription but were again pleasantly surprised at how thorough the exam was! Our doctor thoroughly explained everything both to Ryan and I, and took the time to answer questions we both had. 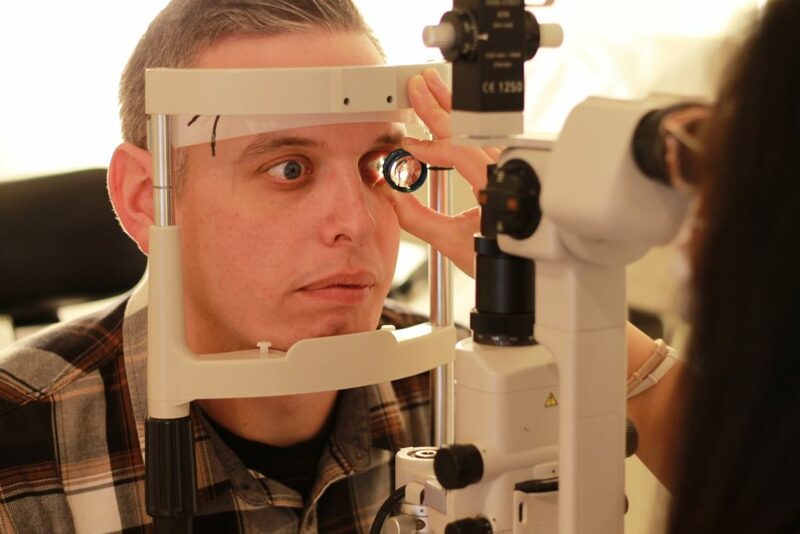 From initial exams to check eye-pressure and depth perception down to the full exam with the eye doctor to find the perfect prescription, we learned some pretty important information about Ryan’s eyes and what he needs to do to better protect them in his line of work. As we’re both a little on the geeky side and we play a lot of games on devices from phones to video games, the doctor was able to give us both some valuable tips on protecting both of our eyesight, as well as Alivia’s at home. 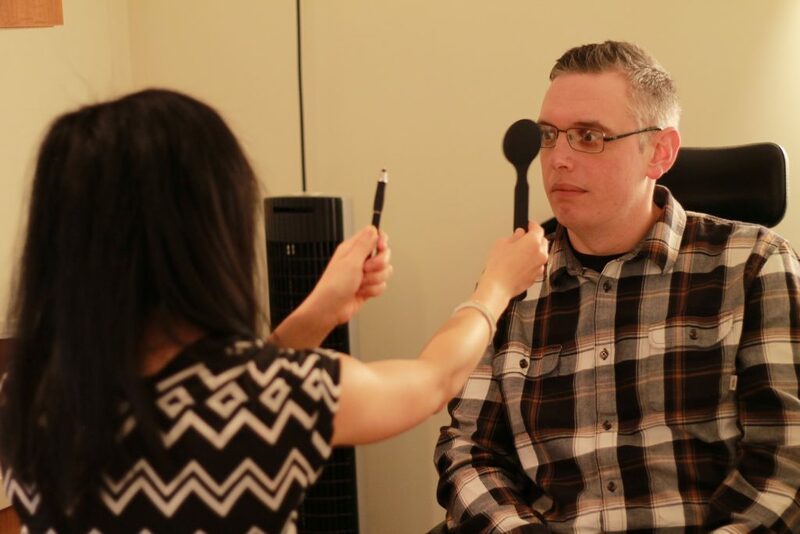 Since it had been so long since Ryan replaced his glasses, he definitely needed a change! We were both a bit shocked to hear from the doctor that his vision hadn’t changed very much but had changed enough that his glasses weren’t doing the very best for him that they could be. Once we were done with our exam, we headed to the retail floor to take a look through all of the frames Pearle Vision offered, Ryan may have bee-lined it for one of his favourite brands – Oakley, but they also carry a huge assortment of many well-known high-quality brands available, including Coach, Ray-Ban, and Ralph Lauren to name a few! Regardless of your style, there are hundreds of different frames to choose from. While he was wandering around, I had a chance to look through many of the frames myself with the help of the eye care experts. It was mentioned to us at our last eye exam for Alivia that she may need glasses in the future so I had some questions about the warranty, durability and sizing. We know that when she will need glasses, there is an assortment of styles that she would be proud to wear and eye care expert on hand to make it a good experience for her. We also picked a great time to go, Pearle Vision is currently offering a 40% off a second complete pair so we didn’t have to decide between his 2 favourites – we were able to grab both for a very modest out of pocket amount with our insurance. There’s no way around it, glasses can be expensive and I am always looking for ways to stretch our budget. It is always handy to have a second pair on hand in case you lose or damage your primary pair so it’s a bonus when you can get them cheaper! 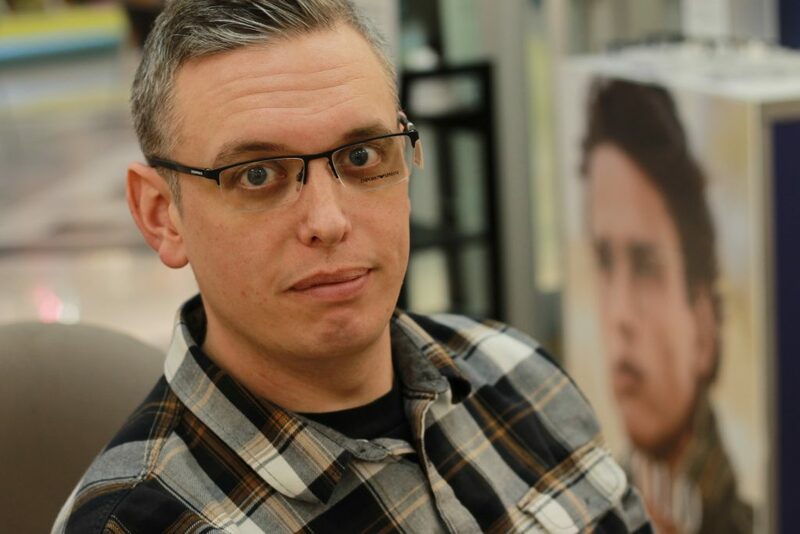 Ryan usually only wears his glasses at home because he didn’t love his old frames, but he’s looking forward to giving his eyes a bit of a break from his contacts now that he has frames and lenses that he loves! Even with a busy store, there was plenty of staff on hand to answer any questions we had, once we had chosen our keepers Ryan and I sat down to go over the details with Raj who explained the variety of lenses and lifestyle options. 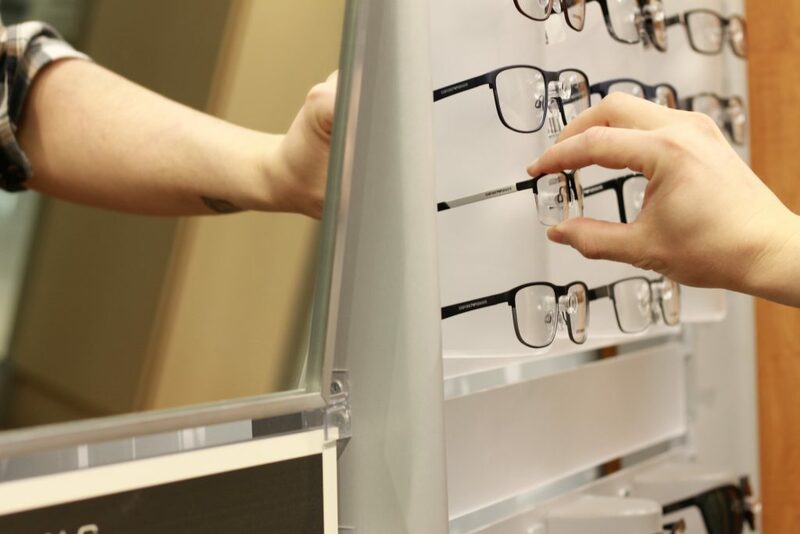 As with the eye-exam, they also offer direct billing to your plan for glasses. We happened to (in true Tara fashion) end up visiting on a day that the Blue Cross portal was being temperamental, but Raj went above and beyond making sure that everything was billed correctly. He assured us that if there were any issues we could handle it over the phone, saving us an extra unnecessary trip back to the store. We really felt that he went above and beyond making sure the process was as stress-free for us as possible. 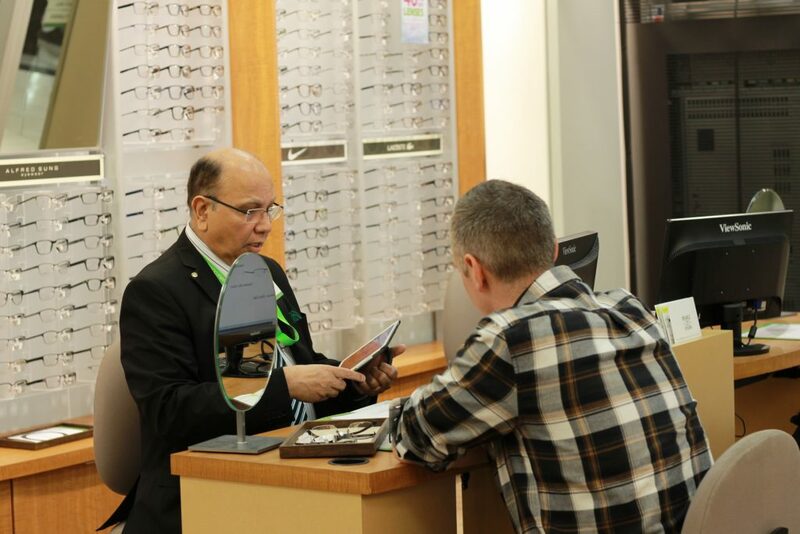 Raj also took the time to explain that if for some reason we aren’t 100% happy with our purchase, Pearle Vision will do all they can to make it right – without any excuses! 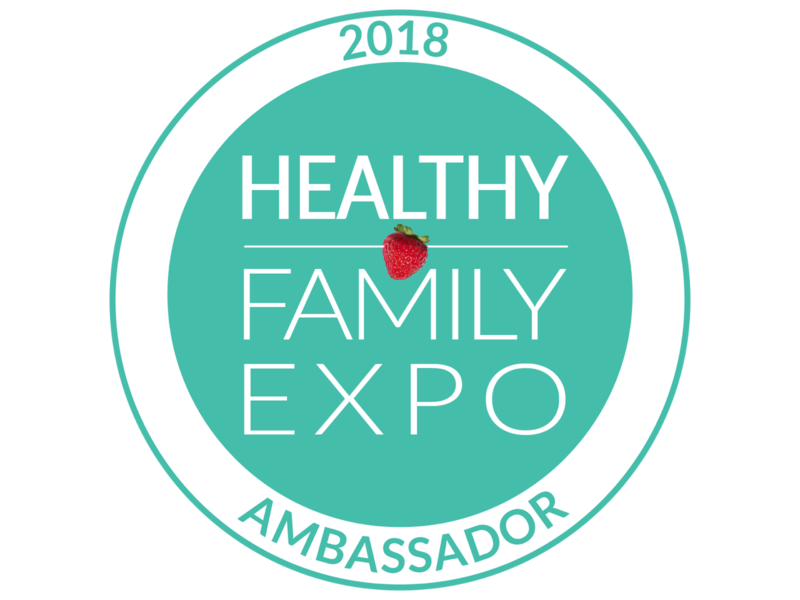 As a mom, this was a paramount selling point for me, I don’t have the time to trek back to the store (with kids in tow) more times than necessary and I truly loved that everything can be done quickly at one location, from the eye-exams to the final choices on frames and lenses. 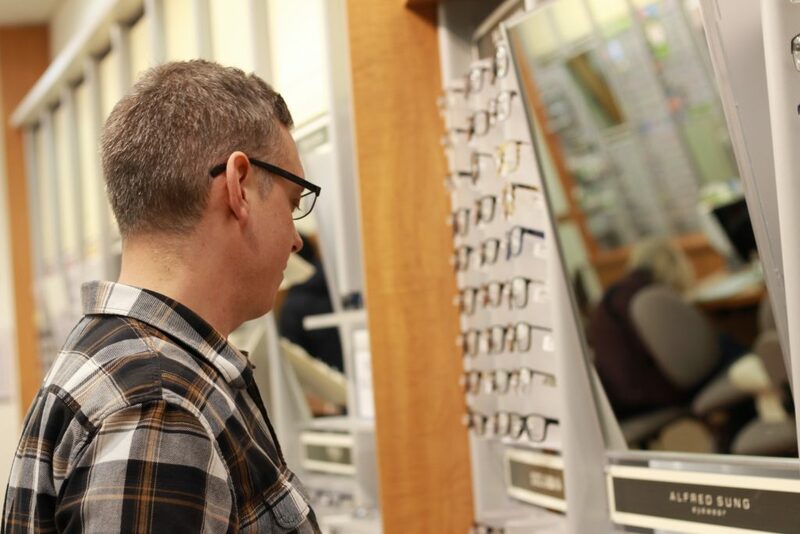 Whether you’re booking an appointment for yourself or the entire family, Pearle Vision has simplified every aspect of the booking process making it much more convenient to book when you want, and how you want for your next appointment. When was the last time you had your eyes checked? 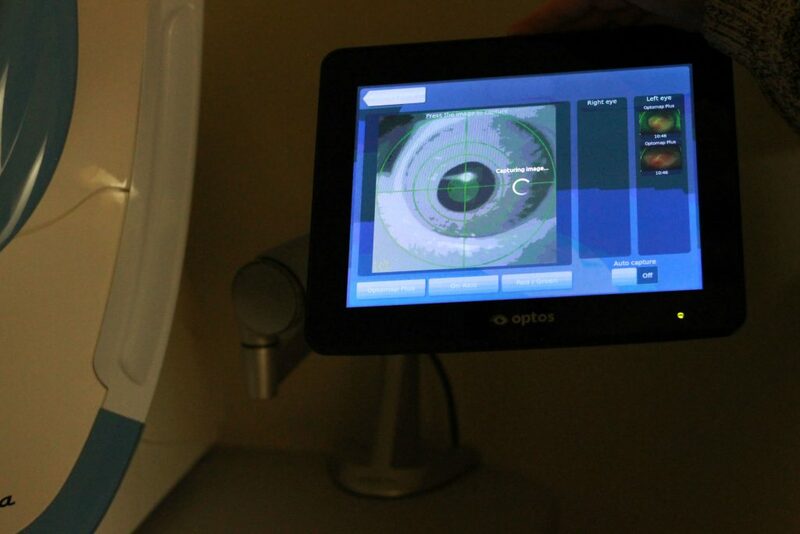 Arrange your eye-exam* today, peace of mind is invaluable when it comes to your eyesight. I am WAAAYYY overdue for an eye exam. Thanks for the reminder! I need both an eye exam and a visit with the dentist. 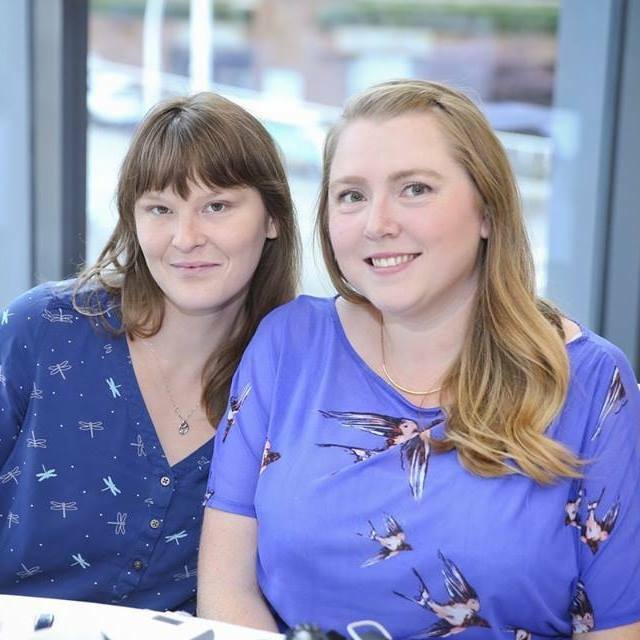 I’m presently looking for an optometrist too – so your timing couldn’t be more perfect! Oooh thanks for this, I need new glasses. I need me some new glasses. Time to get to PearlVision! I am due to get my eyes checked and really want a second pair of glasses. Might go check out PearlVision. I should get them checked! I go regularly every 6 mths for my eyes to be tested for sight, a possible cataract and because of the danger of glaucoma as that runs in the family. This is a silent disease and can result in loss of sight if not caught early, easily treatable with eye drops if found early enough. I sure do need new glasses…here’s hoping. Wish we had a Perle Vision here. I really need to get progressive glasses. I tru them before and they were making me dizzy but I find it harder and harder to manage. I have glasses but the boyfriend hogs them. He needs his own. Is pearl vision good? I really need to get an eye exam done!! Only my daughter needs lenses – but I go every year to get a check up for her, my son and myself. It’s so important.!!!! I remember the time when I found out she needed glasses – I had NO IDEA – thank goodness I took her for that regular visit!!!! I have gone to Pearle Vision for glasses in the past. I didn’t know that you could make appointments online, I love that. Never heard of pearle vision, they are an hour drive from me, Thanks for sharing! I like that you can make appointments online. 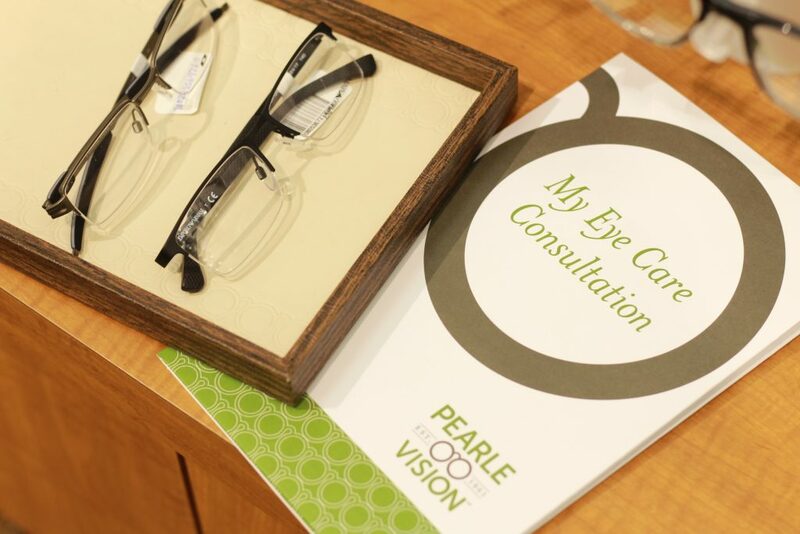 My family has been to pearl Vision and we are very pleased with the glasses and service there. I had no idea you could make appts online! I have always gone to a certain 2 for 1 place and been very happy, but last time the pair I got I just can’t see through. I know I should have gone back but I’m a coward – and out about $400. Time to try someone new! I find it so hard to choose new glasses, knowing I will have to like them for a long time. Vision tests are so important and I too have a hard time choosing the best frames for me. I make sure my kids get an eye exam each year.